Children cannot easily forget the sweet taste of vanilla especially in confectionaries like sweet, biscuit, cake etc, but little do we know that there are lots of vanilla oil benefits to human health. Although vanilla is majorly used in commercial and domestic baking purposes, there is a lot of health benefits we can derive from using its oil. On a sad note, most vanilla flavours are not derived from proper vanilla any longer, they are synthesized from hydrocarbons. Consuming pure essential vanilla oil, however, do have a lot of health benefits to humans. Let us look at some of the vanilla oil benefits to humans. Vanilla oil is known to possess antioxidant properties. These properties, neutralizes the body from free radicals and helps in preventing certain types of cell damage that can eventually leads to oxidation. This antioxidant properties of vanilla makes it to be useful in food preservation and also in the creation of health supplements as nutraceuticals. Another vanilla oil benefits to humans is in the prevention of the growth of cancer cells. To some extent, the anticarcinogenic properties found in vanilla come from its antioxidants properties. Studies has discovered that components in the oil can help curb the growth of cancerous cells by curing, preventing and slowing down cancer. Reduction of inflammation is also another way in which vanilla oil benefits humans. The essential oil reduces stress on the body such as inflammation making it helpful to the nervous, respiratory, excretory, circulatory and digestive system. Vanilla component with the most antioxidant values also has the ability to lower cholesterol, decrease triglycerides levels and reduce symptoms associated with rheumatoid arthritis. Vanilla oil have been discovered to have a calming effect on the brain, which reduces anger, stress and anxiety. Hydroxybenzaldehyde may be a synthesized form of vanilla, which is an effective antidepressant and mood lifter, but it cannot be compared to the essential powerful aroma of vanilla oil. 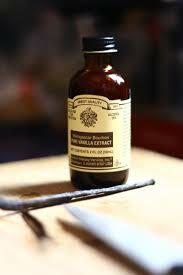 Vanilla oil is potent in soothing all types of inflammation and hyperactivity in the system of the humans. It can also reduce inflammation that comes from fever along with convulsions, stress, anxiety and even hypersensitivity to allergens. At the same time, a small amount of vanilla oil may help lower blood pressure with a tranquilizing effect on the brain. This is the last point of vanilla oil benefits to humans we shall be looking at today. This essential oil can help stimulate the secretion of hormones such as testosterone and oestrogen which is helpful to people suffering from erectile dysfunction, frigidity, impotence or loss of libido. Vanilla oil has also been shown to improve levels and mood, and is been used as a natural home remedy. Now you have the knowledge about 6 vanilla oil benefits to humans, is better you ditch the synthesized vanilla flavours you consume from various confectionaries for a better pure essential vanilla oil. This will make you feel better and healthier than ever before.